Xylella fastidiosa continues to kill many tens of thousands of olive trees in south Italy's Puglia region and is on track to widen its deadly clasp across the Mediterranean basin. The ACCC will be conducting a survey of business stakeholders in June 2018, seeking feedback on the ACCC’s performance to identify areas for improvement around business engagement. They are keen to hear the views of small businesses and representative organisations across all sectors of the economy, including agriculture. A research firm will be conducting the online survey: all responses will be confidential and the ACCC will not have access to any individual’s comments. The overall findings will be made public and will be published on the ACCC website. To participate in the survey, click here to provide your contact details. The survey is expected to take no more than 10 minutes to complete. Replies are requested by 10 May. The NSW Department of Primary Industries (DPI) is offering a free two-week olive oil classification course at the Wagga Wagga Agricultural Institute. Running from May 7 to May 18, Monday to Friday, 6pm-9 pm, the course will allow participants to taste both local olive oils and oils from around the world as they learn how to classify olive oil. Participants will be trained to recognise extra virgin olive oil, identify defects in olive oil, and learn how production can affect flavour. Those who complete the course may be eligible to join the internationally accredited Australian Olive Oil Sensory Panel. 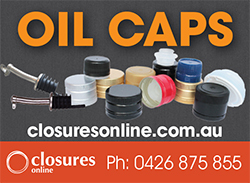 For more information and to register for the free Olive Oil Sensory course contact Donna Seberry on (02) 6938 1957 or sensorypanel.wagga@dpi.nsw.gov.au. 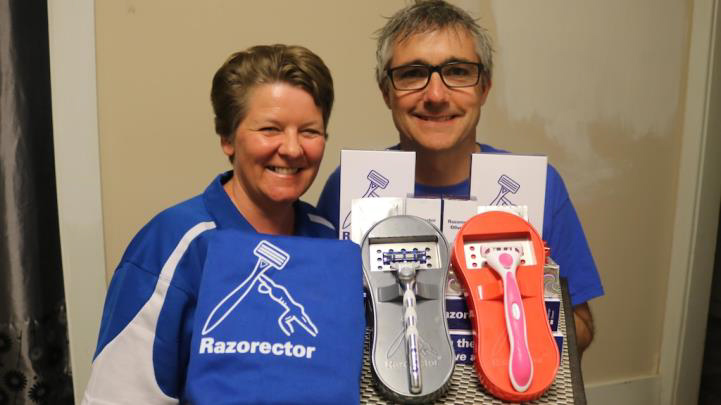 An ambitious and entrepreneurial Kalgoorlie couple have their sights set on revolutionising the multi-billion dollar shaving industry and saving the environment in the process. Although they did not know it at the time, the day Paul and Rosey Buckle discovered they could save money and support the environment by dunking their razors into olive oil was the day an invention was born. Expressions of interest are now open from olive levy payers interested in being appointed to the Hort Innovation Director Nomination Committee. All appropriate, eligible, skilled levy payers are encouraged to attend one of the information sessions being conducted around the country to learn more about the role and the process. If you are unable to attend an information session and would like to know more, contact Tania Chapman via email admin@voiceofhorticulture.org.au or 0428 291 717. Expressions of interested must be submitted by 5pm AEST on 18 May 2018 – view the information document here. Raffaele and Maria Papalia (Innaloo) with their olive tree. Picture: Martin Kennealey. 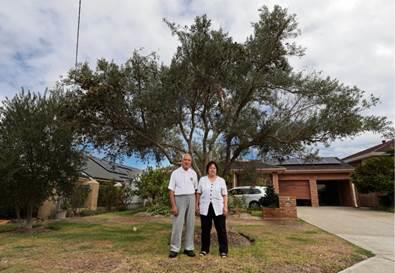 An Innaloo couple is upset the City of Stirling pruned their olive tree just a couple of weeks before their planned harvest. Maria and Raffaele Papalia planted the tree on the verge outside their home 20 years ago and press the olives each year to make oil. Don’t we all get their frustration! Up to $1m is available for commercialisation costs of new ventures - with food and agribusiness named as a target area. More information here. Enquiries to WAOC Executive Officer Karen Sanders at admin@oliveswa.com.au. 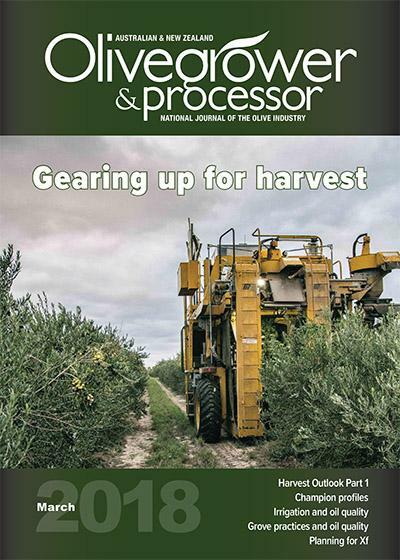 Two independent reports highlight some of the economic challenges facing the olive oil sectors of the world's two largest olive oil producers. 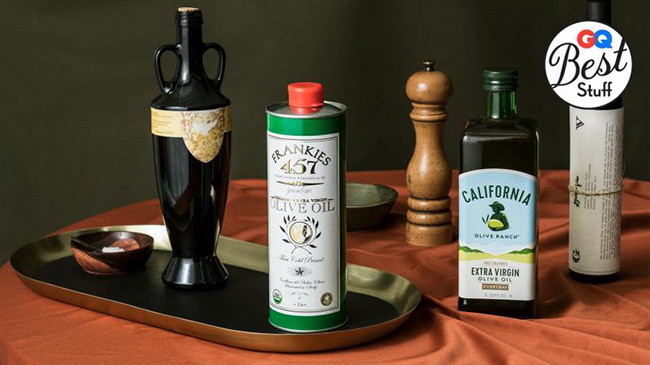 GQ's Best Stuff asked a few experts about the best olive oils for cooking, sopping, and drizzling. These days, it seems like any pantry essential could be a punch line for the next food craze: no vinegar, peppercorn, or salt crystal is safe. The same goes for olive oil, at once a simple grocery store purchase and a gateway drug into complete culinary nerd-dom. Good discussion on flavor differences and the multiple uses for olive oil here. At 24.20 million tons (mt) in 2016-17, and an estimated 23.95 mt in 2017-18, India’s edible oil consumption stands at number two globally, behind China (35 mt). Seventy percent (14 mt) of this demand is met through imports, comprised primarily of palm oil (9.5 mt), soybean (2.99 mt), and sunflower oil (1.54 mt). Spain is the world’s largest olive oil producer, producing one million tons of it each year. With a market that big, it was only a matter of time before someone thought about tokenising it. On a less cynical note, two of the biggest problems in the commodity supply chain are price volatility and quality control. Olivacoin hopes to solve both issues for the olive oil industry with its ICO, launching tomorrow.